Due to years of living in various places and pouring my life into the churches where I served, I never really found a place to call home. It wasn’t until 2014 that I realized I would plant in Upstate South Carolina. I am an only child, so I began to invite my parents to live in the area. My mom took me up on it. My dad visits a few times a year. In fact, he is here until Monday night. With changes in their health, I try to cherish the memories of the past and make good memories now. Many of us rush through life. If you’re like me, you worry through it. You worry about your finances. You worry about your family. You know God will take care of it, but you worry anyway. While you are worrying, the devil is robbing you of moments when you could be enjoying your children and spouse, friends, other family, and most importantly enjoying the Lord and recognizing His blessings. Jesus reminded the crowd who was listening to the sermon on the mount that God takes care of the flowers and birds. Will He not take care of human beings who are created in His image? When you are tempted to worry, stop and remember that God has always been faithful. He will always take care of your needs. 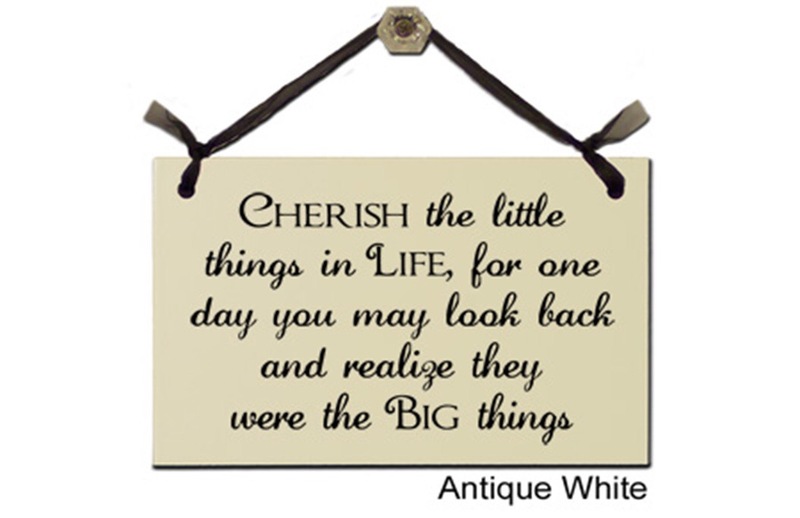 Cherish every little thing, because you may not have it tomorrow.